Jewelry from the Jaipur Link collection adds luxury and a hint of wonder to the most esteemed women in the world. 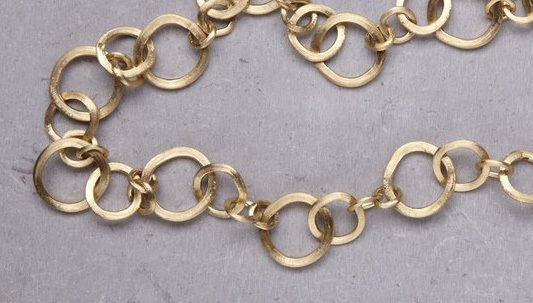 You, too, can adorn yourself with a Jaipur Link piece for a touch of class and elegance. The undeniably beautiful circular elements of them are connected and engraved utilizing the Bulino technique. The pieces in this collection have an irresistible sophistication and a circular beauty that is never-ending. Whether you desire soft shapes in gorgeous 18 karat yellow gold or an assortment enhanced with pure diamonds carefully set by hand, you will surely turn heads while wearing a Jaipur Link.